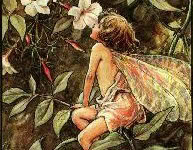 Faeries are beckoned to their midnight dances just by ringing these little bells. 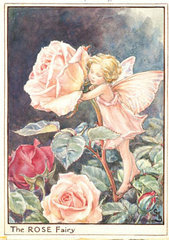 Represents kindness and most potent of all Faerie flowers. 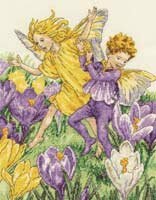 They are also called "warning bells" because to travel into bluebell glade is to find yourself in a place of consecrated Faerie magick and enchantment. 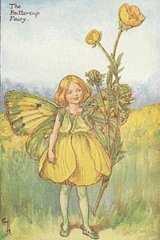 The buttercup and its Faerie bring most healing energies. Give your self-esteem a boost. Healing body energies, an aura makeover. 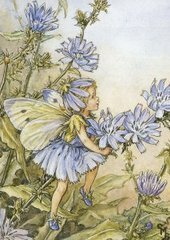 Chicory can bring good luck or make you invisible if you carry it with you. It is said to be able to open any lock. 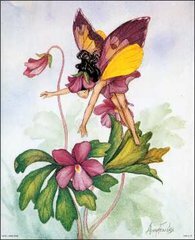 The clover Faeries will help find love. Have the power to inspire love but may drain your strength while collecting them. 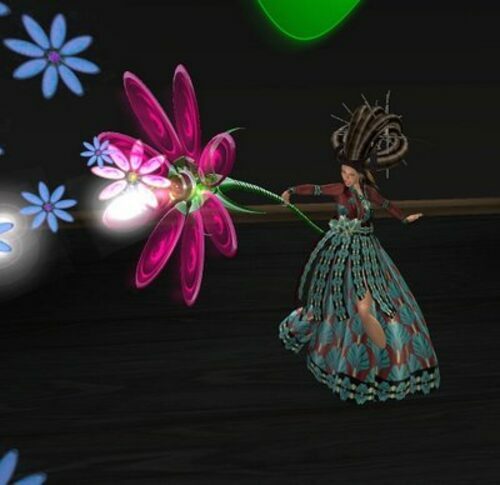 Dryad flower. Helps to boost creativity. 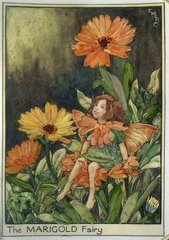 The Daisy is a favorite flower of the wood nymphs. Relax among these flowers and to help contact them. Forget-Me-Not - A symbol of love and devotion. If you place these flowers on the side of a mountain where Faerie treasure is hidden, secret cavern walls will open up for you. 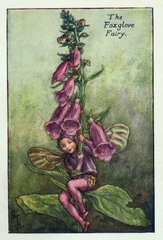 The foxglove flowers are worn by Faeries as gloves and hats and the little flecks found on the flowers are surely fairy fingerprints. Poor luck will follow those who pick these flowers and bring them in their home. 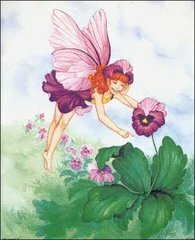 These Faerie are child protective and will help to increase your telepathic abilities with all the nature spirits, and help bring peace within yourself. Harebells - Inspire honesty when worn. 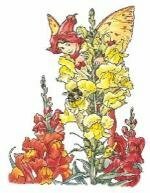 The Fae of this flower are attracted to shy humans. 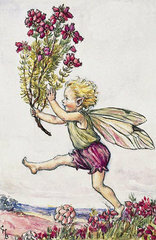 Faeries that live among the heather undisturbed are said to feast on the heather stalks. Heather is a flower of peace and solitude. 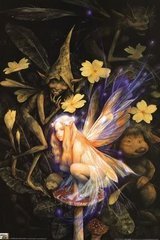 These Faeries will help to bring on peaceful dreams and clarity of the mind. 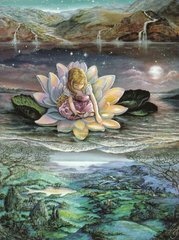 These Fae help to nurture purity and humility. If made into a jam and eaten in the morning it you should be seeing Faeries soon. These flowers are used by the Faeries for love potions. Has the ability to inspire love. Rekindle love by eating periwinkle leaves. Has the power to reveal the invisible. If you eat them you should see Faeries. 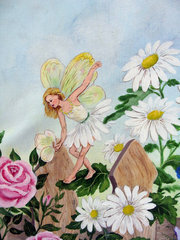 The pathway to the Faerie realm can be opened by touching a Faerie rock with the right number of primroses. BEWARE! If the number is wrong you may open a door to an unpleasant place. 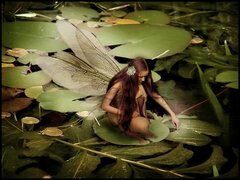 These faeries will bring love, love, love. 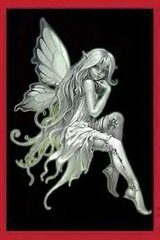 These Fae bring protection for all from deceit and curses! Hold these flowers secretly in your hand and others will see you as gracious and fascinating. 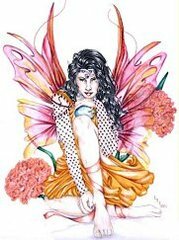 Ever want to bring the Fae into your home? Hang sprigs of Thyme in a window. 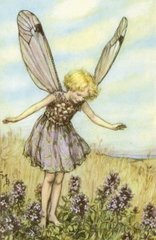 The violet is sacred to all Faeries. 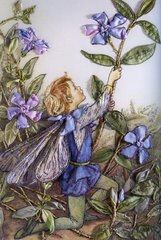 Gathering violets in the spring will bring good luck and a wish come true courtesy of the Faerie realm. 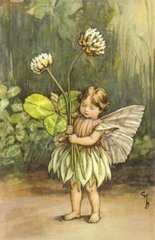 Some believe that the white lotus flowers are nymphs in disguise. A woman can carry this flower to counter the effect of unwanted love spells.